“You’re the winner!” Judge R. Brooke Jackson of the U.S. District Court declared to Wildgrass Oil and Gas Committee (WOGc) Attorney Joe Salazar at the hearing today on the motion for a temporary restraining order in Wildgrass Oil and Gas Committee’s forced pooling Constitutional lawsuit. 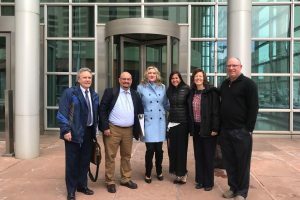 Colorado Oil and Gas Conservation Committee (COGCC) Attorney Kyle Davenport had just returned to confirm that Extraction Attorney Eric Christ who was in the courtroom had agreed to the provisions that Judge Jackson had outlined. Judge Jackson’s orders set the stage for an unprecedented, robust forced pooling protest hearing by WOGc at the COGCC on March 11 & 12 to consider health, safety, welfare and economic issues. Other mineral owners facing forced pooling may follow suit in requesting similar full protest hearings at the COGCC. It also sets a precedent for municipalities to request that no drilling take place before an operator proves full mineral access. Citizens might also begin putting these comments on COGCC permits that are posted. 1) The COGCC and Extraction Oil and Gas will hold the Wildgrass Oil and Gas Committee (WOGc) forced pooling protest hearing (Docket Number ) at the March 11 &12 hearings. Extraction will no longer be allowed to request to have the hearing postponed as they have done in October 2018, December 2018 and January 2019. 2) At the Wildgrass COGCC forced pooling protest hearing, WOGc’s concerns about health, safety, welfare and economic issues will be fully heard. 3) Judge Jackson set a return courtroom date of March 26 at 9 a.m. to allow for the temporary restraining order to be reconsidered if WOGc feels that its concerns were not satisfactory addressed at the March 11 & 12 COGCC forced pooling protest hearing. 4) Extraction will not drill on the Livingston Pad before its scheduled date of June 1. This includes spudding, according to Judge Jackson’s orders. Although at first COGCC Attorney Davenport stated that the COGCC could not order Extraction not to start drilling since the COGCC had already approved its drilling permits, Judge Jackson suggested that COGCC Attorney Kyle Davenport take Extraction Attorney Eric Christ who was in the courtroom into the hall in order to ask Extraction to agree to the provisions.  The COGCC had stated at Friday’s hearing that Extraction had declined to be part of the proceedings after Judge Jackson had asked where Extraction was, given their stake in the proceedings. Judge Jackson also stated that his law clerk had found the brief that WOGc attorneys had filed the previous day to be persuasive. WOGc attorneys had written that the case law presented by the COGCC in their Defendants’ Response did not apply to this case. The COGCC’s cited case law had applied to vertical drilling which involved the rule of capture but did not apply to current horizontal drilling. WOGc Attorney Salazar cited that recent rulings of the Supreme Court in Texas and Pennsylvania and one in Idaho were more applicable to this case. In his opening remarks, Judge Jackson stated that “as big and bad as they might be” that he was not ready to strike down the entire Colorado forced pooling statutes on Constitutional grounds. At the beginning of the hearing he directed the plaintiffs to narrow their request, but also made it clear at the end of the hearing that WOGc had a time set aside for them in his courtroom on March 26 if their concerns of health, safety, welfare and economic issues were not satisfactory addressed at the March 11 & 12 COGCC forced pooling protest hearing. Tuesday’s brief hearing had followed three hours of testimony on Friday by WOGc witnesses Max Caputo, Mark Lindner and Ann Marie Byers. The small seating area in the courtroom was again filled with about 50 members and supporters of WOGc from Broomfield and other impacted Front Range neighborhoods. WOGc attorneys are Colorado Rising Director Joe Salazar and Dan Leftwich of Mind Drive Legal Services, LLC. The Colorado Attorney General’s office again sent four attorneys to defend the COGCC.